We have all seen the action packed Bond movies with the charming 007 sitting in a casino, emptying the baccarat table of money before moving on and killing another bad guy. To reach the same success as the unstoppable Bond is perhaps a bit much to ask for, but there are surely winnings to be collected from the baccarat table, as well as hours of relaxing entertainment. Baccarat is available to comfortably be enjoyed at Mr Green from the couch at home, as well as when passing time when travelling. Even though the game is quite simple it’s always good to know certain things before playing, such as the rules and where the house has the biggest edge. Therefore we will take a close look at and learn you everything about how baccarat is played, give you valuable tips that will help you at the tables and reveal interesting facts about the game that you probably didn’t know of! Baccarat is a pretty straight forward game that is very easy to learn. 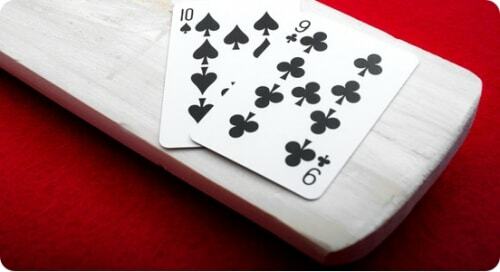 As two cards are handed out and the goal is to get to or get as close to a certain sum as possible, the game has some similarities with blackjack. There are however also distinct differences as bets for instance are placed before the cards have been dealt and because there are no ways to affect the game after the bets. In the following section we’ll tell you more about this and learn you everything about how baccarat is played. Playing baccarat in Mr Green’s live casino is the perfect way to get a true and authentic experience of the game. Here you’re able to play in a real casino without actually having to travel there. With high definition cameras showing everything that’s happening, real and interactive dealers that will help you with questions and keep the entertainment on top, as well as other players to share the experience with, you can get the same authentic feeling of sitting at a table and playing baccarat in a casino while you’re relaxing at home or travelling. Baccarat is not the type of table game that has a bunch of different strategies that can be applied. The charm of the game and what really makes it appealing is the easy entertainment it offers. With that being said, we have in this section provided a few valuable tips which can be good know about, such as where the house has the biggest edge. Did you know this about baccarat? The game was introduced in France at the end of the 15th century, but has its origin from Italy where it was first played with tarot cards. There are even earlier documentation of a similar game that was used in an ancient ritual, where a young girl had to throw a nine sided die to decide her fate. Baccarat has been labeled as a rich man’s game as it was long exclusive for the French nobility before being introduced as a casino game. Baccarat means zero in Italian and is the worst possible hand in the game. Year 1990 a Japanese real estate agent won a total of 25 million dolllars by playing baccarat at two American casinos. When the game was first introduced at a casino in USA, the house lost 250,000 dollars in one night.